Maarleveld, T.R. (2015, January). 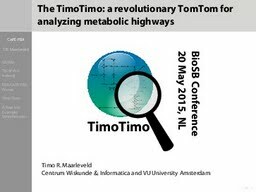 The TimoTimo: a revolutionary TomTom for analyzing metabolic highways.